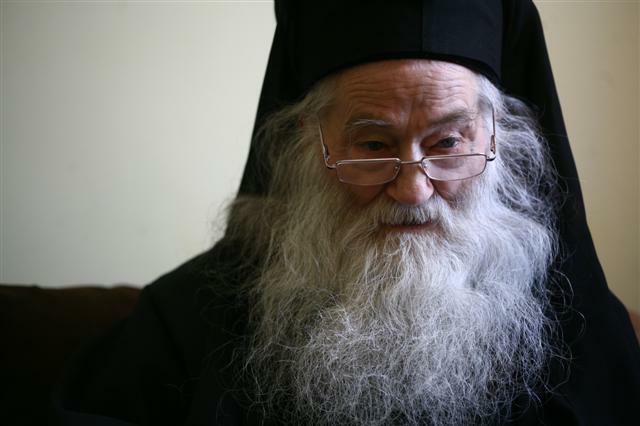 On June 16, 2013, following a prolonged illness, Archimandrite Justin (Pârvu) of the Petru Vodă Monastery, one of the most revered Elders in Romania, reposed in the Lord. Fr. Justin was born in the village of Poiana Larguliu (Neamț County) on Feburary 10, 1919, and entered the Durău Monastery in 1936. In 1939 he enrolled in the Theological Seminary in the Cernica Monastery. He served as a chaplain on the Eastern Front during World War II from 1942-1944. He was imprisoned for political and religious reasons between 1948 and 1964. From 1966 to 1975 he lived in the Secu Monastery, and from 1975 to 1991 in the Bistrita Monasery. In 1991 he founded the Petru Vodă Monastery, where he lived and served as abbot, and in 1999 the Petru Vodă Convent along with a school and hospital. Eternal Memory to the newly-reposed Archimandrite Justin!